Just a few weeks ago, Beltway tongues were gossiping about Vice President Joe Biden being a second-term neuter. See, for instance, the Politico article, "Joe Biden waits on sidelines," which opened like this: "Vice President Joe Biden walked the halls of Congress and hosted top-level talks at Blair House during the last fiscal showdown. This time, he’s roaming the aisles of Costco." Then, all of a sudden, Obama gave Biden charge of the gun violence task force he formed in the wake of the Newtown massacre. Next, Biden emerged, as if from nowhere, as a key negotiator in the deal struck to resolve the “fiscal cliff”—albeit one that much of his party did not particularly like. 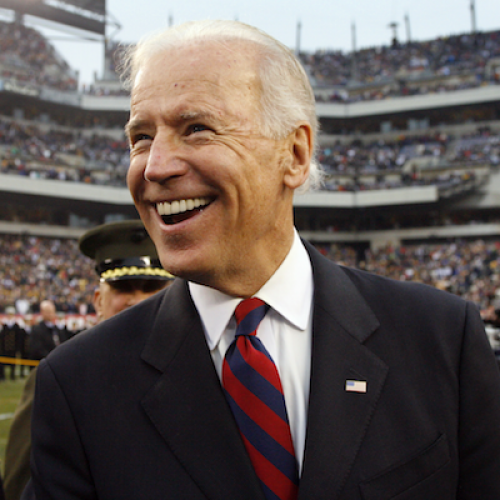 Just like that, Biden was maybe "the most influential vice president ever," according to National Journal. Such swift reversals of fate have been common in Biden's vice presidency. Below, we revisit some of his biggest hits—and misses—as Obama’s No. 2. Once a “Senate lifer,” Biden has been a natural liaison to Congress since the start of his vice presidency. Sen. Susan Collins was a constant target of Biden’s lobbying in advance of her votes for the stimulus package and Affordable Care Act; when it came to convincing Arlen Specter to switch his party affiliation from Republican to Democrat, Biden was pesterer-in-chief. This did not necessarily make Biden a leading voice in setting the policy agenda; see, for example his upbraiding of administration officials who wanted to pursue healthcare reform in 2009 (advising him to focus squarely on jobs instead). Biden beefed up his lines of communication to former Senate colleagues after Rahm Emanuel, long the chief communicant with Congress, left his White House role to run for Chicago mayor, and in his expanded role, he has been effective, if not loved by his party for it. The 2010 lame-duck session saw him become point-man in the successful effort to pass a new START treaty with Russia (sometimes while hitting the gym). In December 2010, Biden negotiated with Sen. Mitch McConnell the temporary extension of the Bush Tax Cuts--to the resounding disappointment of most liberals,. In 2011, the two collaborated once again, this time to draw up the automatic-cuts deal that placated Republicans holding the debt ceiling hostage. In the run-up, as Noam Scheiber reports in The Escape Artists, Biden had joined several administration officials in shutting down public sparring between White House surrogates and backers of the Ryan Plan, opting instead for private negotiations with House members. After Congress approved a massive $787 billion economic stimulus package in February 2009, it fell to Biden to manage its distribution. The job (for which the vice president had nominated himself) put Biden in a prominent fraud oversight role and his staff at the beck and call of the mayors and governors who needed troubleshooting. And Biden apparently did a great job at squelching projects that even sounded like Fox Nation-bait. Independent reports concluded that stimulus fraud and waste had been successfully kept to a minimum. In May of 2012, when Joe Biden told "Meet the Press" that he was "absolutely comfortable" with gay marriage, he unwittingly became the highest-ranking U.S. official ever to endorse gay marriage. Pundits instantly dusted off his old title, gaffe machine. Biden's comments forced the president to restate his position on gay marriage, but it became an opportunity Obama used to publicly upgrade from "evolving" to officially pro-gay-marriage. When Biden later offered his apology to the president, Obama's response was, essentially, "none needed." Biden may have managed the White House’s Iraq relations more or less smoothly—pleading with the country's leadership to establish election rules, say, and to open its oil development up to foreign investment on behalf of Obama. But his views jibe less with Obama on Afghanistan. In a fight he lost to Secretary of State Hillary Clinton, for instance, Biden opposed the 21,000-troop surge Obama ordered to Afghanistan in early 2009. Biden preferred that the U.S. try to boost its presence with Predator drones and small, elite counterterrorism units. More famously, Biden advised Obama against green-lighting the Abbottabad raid that killed Osama Bin Laden. But Biden's opposition wasn't all for naught. Obama found it a useful foil when touting the SEAL raid on the campaign trail.